Elizabeth, the new unisex box for ss18, has square shapes and completely patchwork leather. The leather handle will allow you to hand-carry your bag, but also on shoulder, thanks to its adjustable leather strap that can be hooked to the two metal rings sewn laterally. Defined volumes for the new baulette Elizabeth which make it perfect to add elegance to your style. 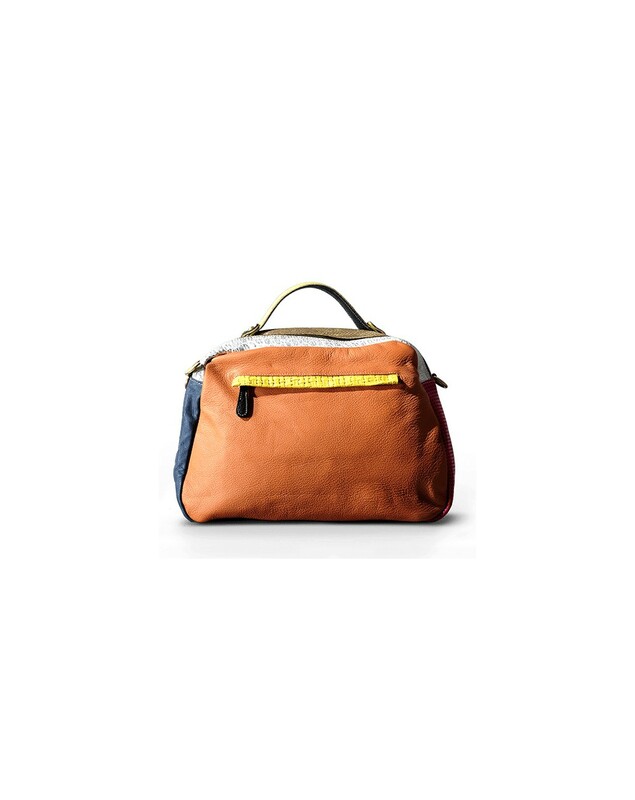 The practical zip opening makes it perfect have everything at hand and the contrast with the colored cotton interior adds a modern touch to the passe-partout design. Elizabeth is visibly well-structured, elegant but at the same time very casual, it also has inner pockets for mobile phone and other objects.